Passed 10th std. examination under 10+2 system of education or its equivalent. ITI certificate of not less than two years . Only those applicants are eligible whose age lies in between 16 to 22 years age Group. 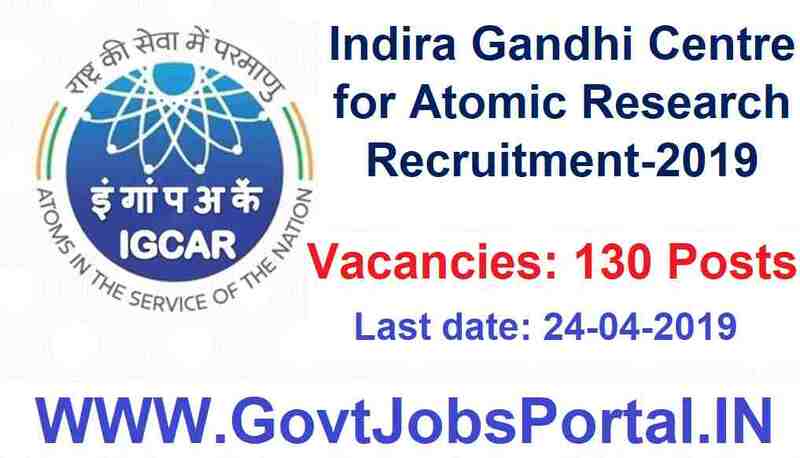 ZERO Application fee for applying these Government jobs in India for ITIT Pass out candidates. Department is inviting all India candidates to apply for free of cost. 24th April 2019 is the Last Date to apply. Application process: Those who are interested in these Govt jobs in India have to apply online through the official website of the department. 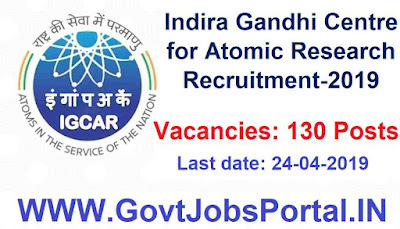 You have to apply online through the official website “http://www.igcar.gov.in” from 10th April 2019 to 24th April 2019.